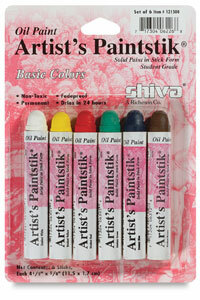 For sketching shape, composition, and color (on almost any surface) without messy palettes or mixing cups. Self-sealing--just peel off film before each use. Compatible colors, blendable. Sets. White, Yellow, Red, Green, Blue, and Brown. 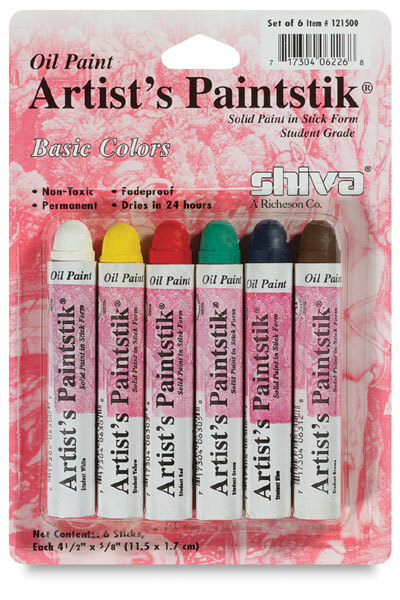 ® Richeson is a registered trademark.Paintstik is a registered trademark.